Read what Parisi owners have to say. Finding the Parisi Speed School in March 2014 has changed the way I live my life. I have owned and operated a CKO Kickboxing for the past 7 years and I never imagined myself as a performance coach until the day I met the Parisi Team at IHRSA in San Diego. From the moment I met Bill, Jeff, and John I knew I found a home with Parisi. They are committed to helping kids and they have stood by my wife and I every step of the way. The education and on going support is the best in the business. I am so grateful to call Parisi my family. Parisi Speed School values and business systems have helped us live the vision of ‘no kid sits the bench.’ The systems, training, and design of the Parisi model has allowed us to 1) reach a broader spectrum of young athletes (a great need in our community, 2) expand our adult programming, and 3) certify and offer continuing education of ALL of our trainers/coaches…a triple win! We have been able to develop outstanding cross marketing that provides a seamless approach for developing youth programming with the Parisi System at the Atlantic Club. The increase in activity and exposure for our club has been terrific. Adding Parisi has been a great strategic decision, we should have done it sooner! In June 2007, I attended the Parisi Testing Week as a support person to the team I had established to run the Parisi Speed School at our club. It was at this point I realized the true magnitude of the Parisi system…a true testament to excellence…In August, 2007 we opened the Parisi Speed School at Club Fit, and the response has been overwhelming. I cannot say enough about the partnership with the Parisi Speed School. Dedication…Commitment…Attention to Detail…Excellence. The Parisi system is the only highly credible youth performance training system in the country today. Bill and his team have built a business model that if adhered to, will enable each franchise to maximize the potential of its respective market. Selecting Parisi was easy because of the access I have to the corporate team. They have seen it all and they have been instrumental in guiding me through the growth process. You can’t put a price tag on that! Memorial Athletic Club has been open since 1979. 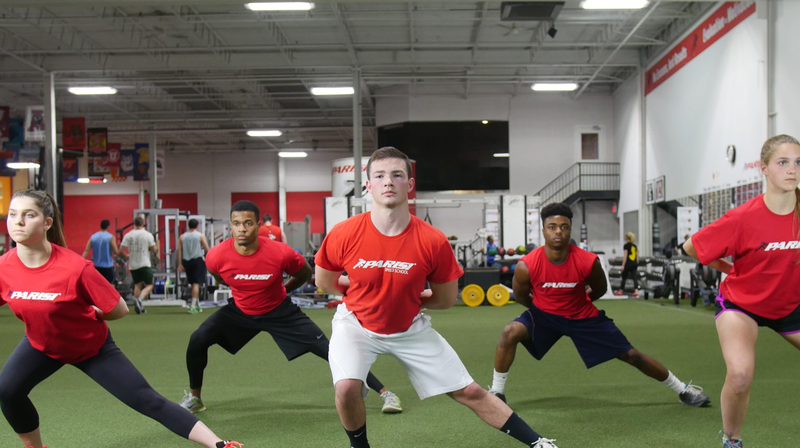 It wasn’t until The Parisi Speed School that we truly could offer a product of quality to the pre-teen, teen, and high performance athlete market. Our involvement with the Parisi Speed School was an immediate differentiator in a highly competitive club membership market. The standards and values by which the Parisi coaches live by is a tremendous key to their credibility and thus the entire club’s credibility. The training, systems of delivery, and focus on values have been invigorating to the entire club operation. I have never worked with a franchise that is so personally invested in every one of their team members. It’s an amazing experience. It really helps fuel my fire to succeed!